James Smythe’s dystopian novel I Still Dream, is also about an artificial intelligence, and deals with many of the same themes as Everything About You. 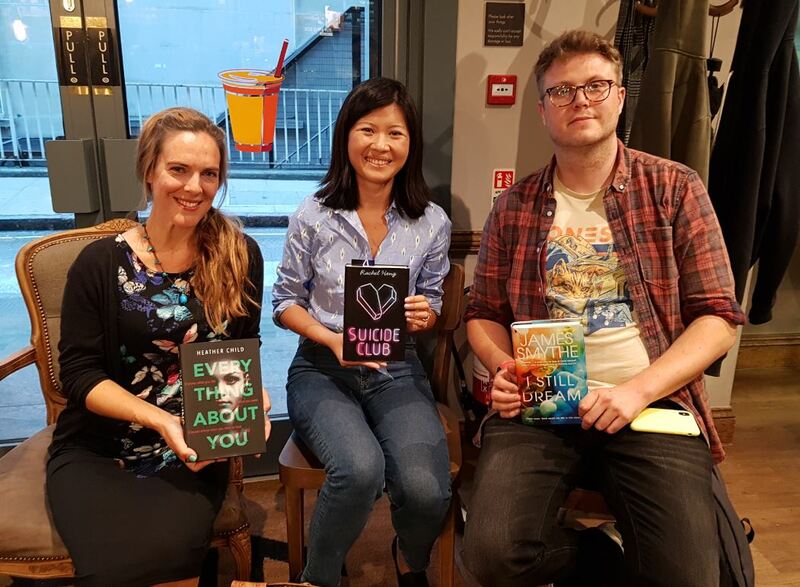 Thus it was no problem launching into a lively and in-depth AI debate when I joined him in London – along with Rachel Heng, author of Suicide Club – at the Dark Societies dystopian book club. One topic that seemed to strike a particular chill in the audience was the idea of AI clones of people being able to continue their lives after death. We discussed the (now defunct) @LivesOn Twitter service, which would digest a person’s tweets and then continue to interact as they would, even after they are gone. It was a great event, marred only by having to compete with the World Cup semi-final… which really separated out the true fans of sci-fi fiction!